Hello and happy Friday to all the Story Empire readers! 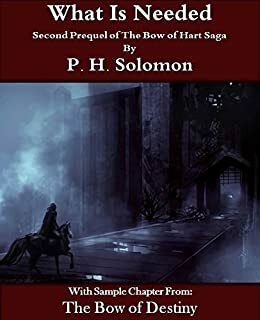 P. H. Solomon here today with the Friday book cover post and some behind-the-scenes information you may find helpful. First, let me say we aren’t big on self-promotion at Story Empire and often shy away from it. However, today I’m straying a little with some of my own work for a purpose so please be patient. This week marked the release of my first audio book, published on Audible by Podium Publishing (a company which cut its publishing teeth on none other than The Martian). I’m honored that Podium sought me out based on sales of my series, The Bow of Hart Saga. 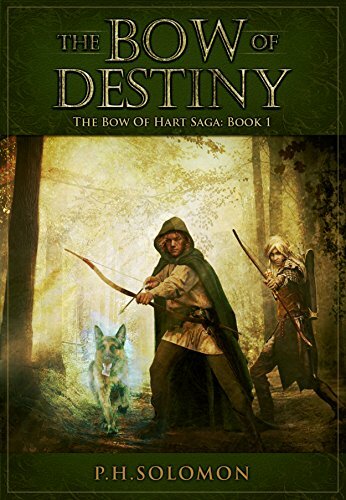 The first book, The Bow of Destiny, was released on the 25th and is performed/narrated by Tim Bruce. What does this have to do with a book cover? Here’s where it gets deeper behind the scenes. When you reach an agreement with an audio book publisher, they begin asking for a lot of information, one of which is for the cover-art. This is where things let you know it’s very different than what you’ve experienced previously and this was the case for me. Cover artists don’t always want to give up control of their content for understandable reasons. Some may charge for the original development files while others may be unwilling to provide them to the author. In my case, after an introduction to the Podium representative and a request, my artist was willing to send the necessary files directly to Podium which was very generous on his part. Main hurdle cleared and on to the rest of the tale. Audio book covers have different dimensions from e-book covers which is why a publisher wants the original artwork files – they need to make some conversions and add their own information to the title. The dimensions of an audio book cover are square which is much different to what was originally created. Also, if you intend to move into the audio book arena, be aware that the narrator will get a billing along with you, the author. Likewise, the publisher wants to brand the audio cover with their logo so it’s clear who released the edition. These covers are enhanced with an almost 3-D effect and the artist has brought out more detail than seen on the smaller e-book cover. It’s a very nice result and, coupled with the narration, it makes for a wonderful audio book if I do say so myself. The cover stands out even more and is a definite upgrade. If you missed it, our own C. S. Boyack examined these original e-book covers in depth earlier this year with his take on why they work. That’s pretty exciting to have at this early stage. Again, you can see the differences in the two types of covers, with the audio version being even more eye-catching than the one for the e-book. If you are working on audio or have an offer, this is what you can expect to be different. As a reader/listener, you can see that the publisher really enhances the cover-art and sets it apart at the same time. 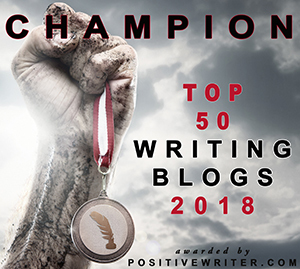 By the way, if you are interested in self-publishing an audio book, our own Harmony Kent shared her experiences with her own projects last December. 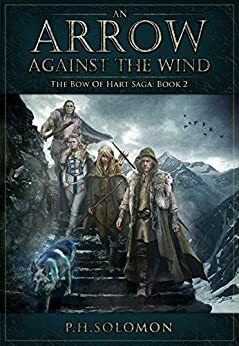 Podium published the prequel pack with a variation of the cover from An Arrow Against the Wind, just to keep it similar. The result is attractive and, even better, it’s also a free edition available on AudFans. If you want to hear a good sample of narrator Tim Bruce’s performance, just click the link or the cover. Personally, I was mesmerized by Tim’s work, but more on audio in general on an upcoming regular post day. So there you have it, the differences between e-book (self-published) and audio (traditionally published) covers with the why and how they are different. What are your reactions to the results? Have you ever considered the cover differences between e-book and audio, or even the requirements when shifting between self-published and traditionally published? Have you self-published audio? If so, what were your experiences with the differences? Please leave your thoughts and reactions in the comments and I’ll get back to you as soon as I can. Thanks for being a part of Story Empire today! I’m late to the party but I found this whole process fascinating. The covers are absolutely gorgeous! Podium did an outstanding job. Thanks for the look into how this all works. I’ve never done audio but it was interesting to see the transition from ebook to audio. Thanks for the comment Mae. It has been an interesting transition. I think ebook to audio fit well together in terms of digital format (Whispersync is an interesting selling point). I am so excited. 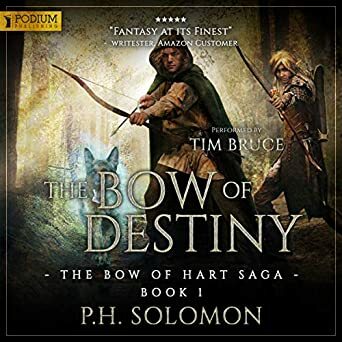 I have managed to obtain The Bow of Destiny as an audio book. I look forward to listening to it. Wow! Thanks Robbie. I hope you enjoy it. Read about the differences of e-book and audio book covers and how the publishing company handles work from a self-published author – all on Story Empire today. Good post, P.H. Love the audio covers. Never realized that differences were needed for audio books. Thanks Joan. I didn’t realized how different the were so it was an education for me. It was also good experience working with a traditional publisher even if it was just for audio. Really love these audio covers! Podium did an outstanding job. Does Podium work like ACX in that you choose a producer and work with them on the editing, or do they handle everything? Hi Jacquie! Good question. Podium takes on all the risk just like a traditional print publisher. The chose the narrator, the release day, etc. At first, they wanted to publish the entire series in one big edition but changed their minds in August. I can only guess that they like the production so well they wanted three editions plus the free one. The only difference in this traditional is that they used my covers to create the ones for audio, but that’s commonly what audio publishers do with the big publishers anyway. ACX varies where you can do all the work or share the risk with a producer/narrator team so it’s more self-publishing. 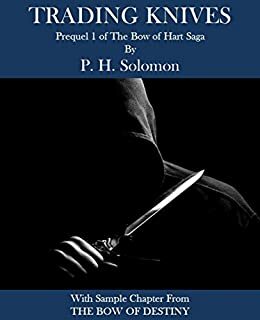 I was very fortunate to be offered the contract from Podium because I doubt I would have ever been able to produce this high a quality audio book on my own. It has been a pleasure to work with Podium and I’m thankful for the opportunity. Thanks for the info. Best of luck! Thanks Jacquie. Are you interested in audio or do you already have books in audio? I have six so far through ACX, but love what these guys did for you. I might look into them for my next book. They may take submissions but they specialize in science fiction and fantasy. Very interesting post. They did a wonderful job with the artwork. It keeps your theme going, and the cropping and additional material were certainly done by pros. Yes, they were pros and the changes were interesting to see with the quotes and additional performed by line. Wow, those audio covers are truly gorgeous! It’s amazing how they managed to keep all the beauty from the book covers, even with the extra info added. I’d buy one of those . . . except for that part where my hearing is so far gone that I can’t understand much audio, even with state of the art hearing aids. 😦 But they sure would look PURTY on my shelves. Thanks for an informative (and did I say PURTY?) post! Thanks Marcia. They did do a very good job emulating the originals. My next goal is print! I love that they were able to mimic the look for your audio prequel. Nice introduction to the way Podium does things. Thx, I found them very open to working with a self-published author as long as they could get the artwork which would be the case even with a traditional publisher. They did do an outstanding job with consistency.